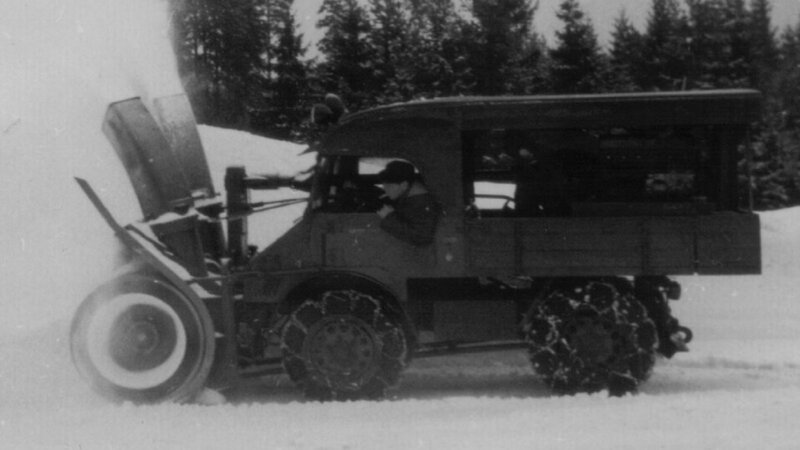 How would you like to clear your driveway with this 1955 401 with snowblower attachment? You won't find this at your local hardware store. 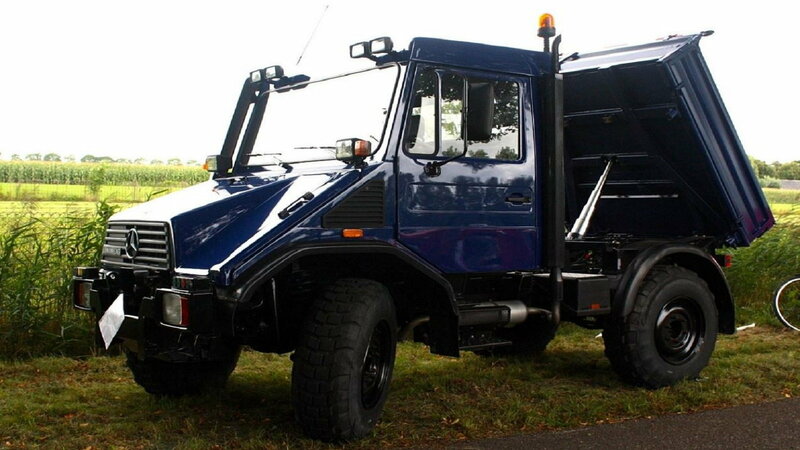 >>Join the conversation about wild versions of the M-B Unimog right here in MBworld forums! 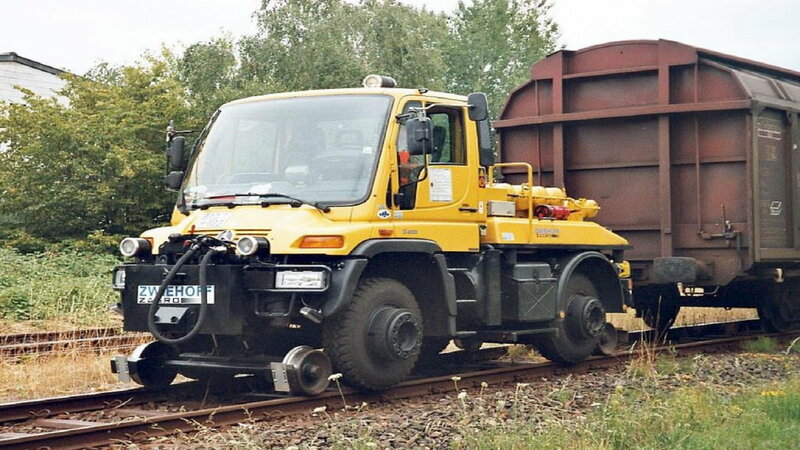 Fitted with train wheels, the Unimog 405 can pull freight cars down the tracks as easily as your pickup can pull a camper. 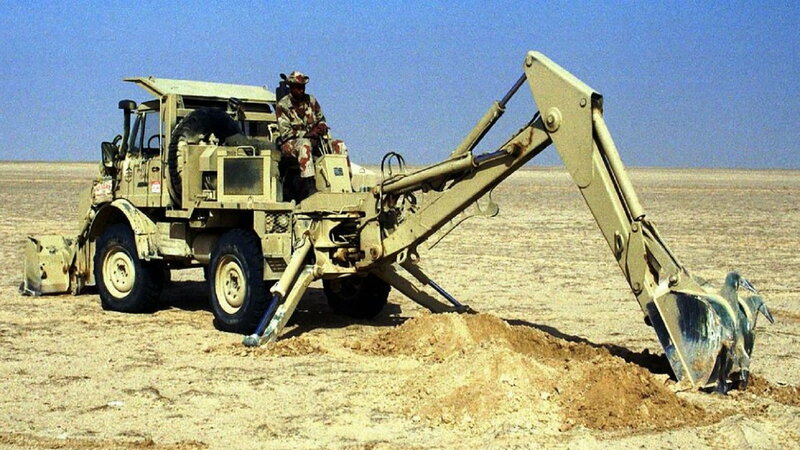 Used by the Marine Corps in Desert Storm, the Unimog proved its usefulness as a backhoe and bulldozer. Have a lot of acreage to mow? 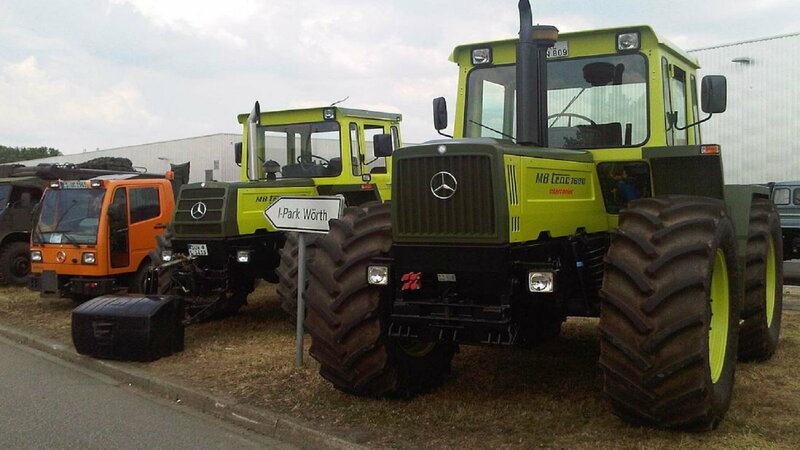 Try fitting one of these on the back of your Unimog and let the clippings fly. 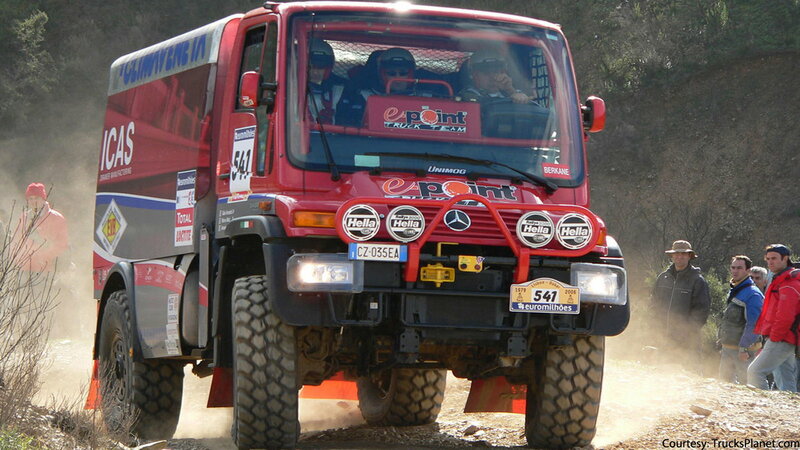 Yes, even the Unimog can be adapted to rally racing. 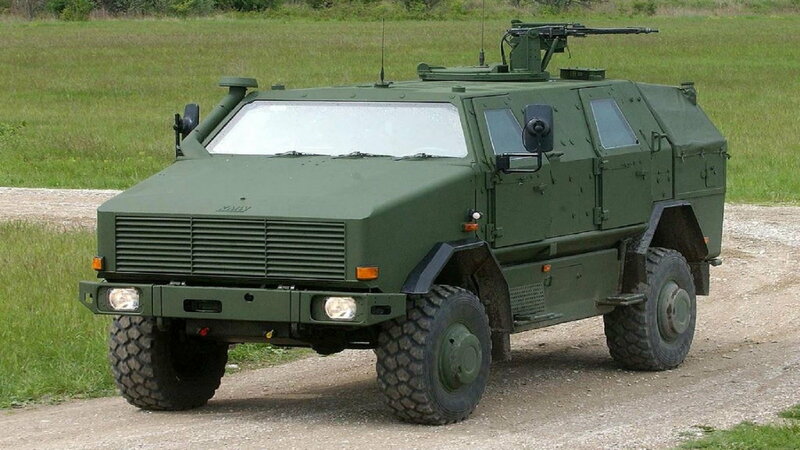 For those who like to go faster, don't overlook this U400 off-roading beast. 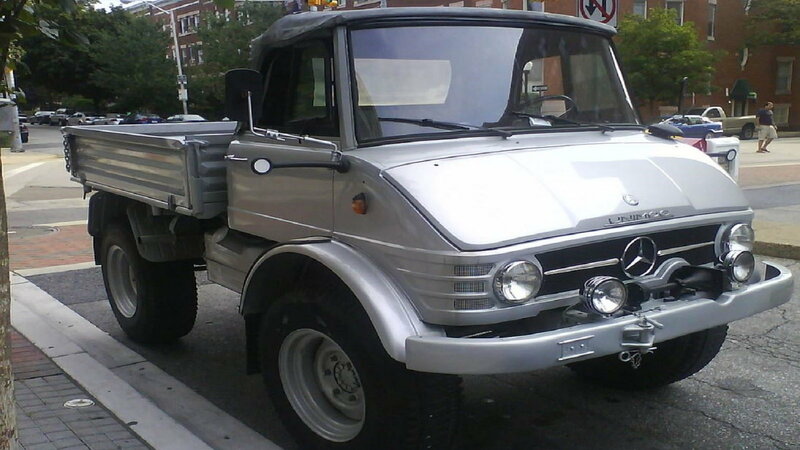 Move over John Deere; this Unimog is taking over the hard stuff. 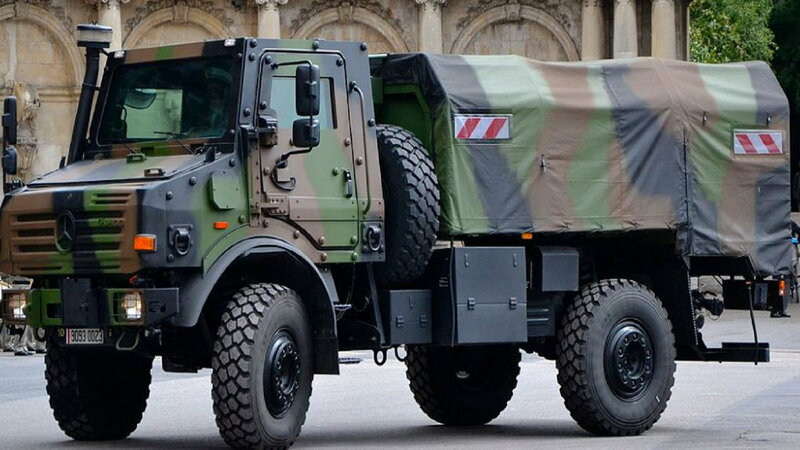 Right at home in combat, the Unimog is a proven automobile, keeping infantry safe while in the midst of battle. The Unimog's versatile use can be seen here as a universal hauler in the rough desert terrain. 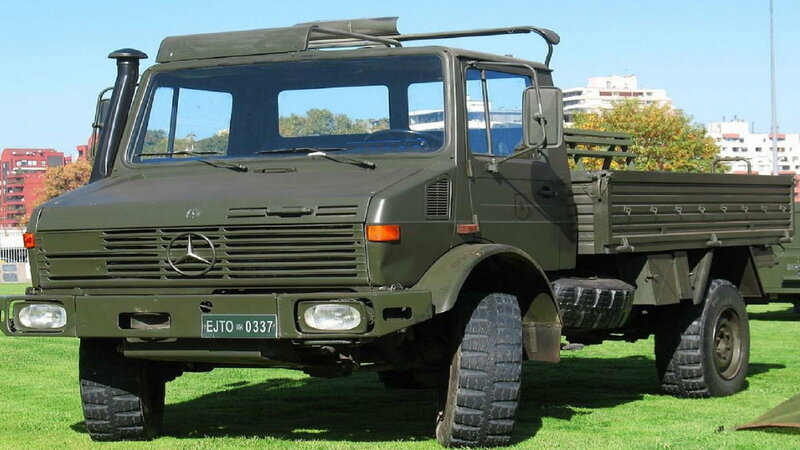 The Unimog has an incredible set of springs with such a large area of travel that all of its wheels will stay on the ground on virtually any terrain. 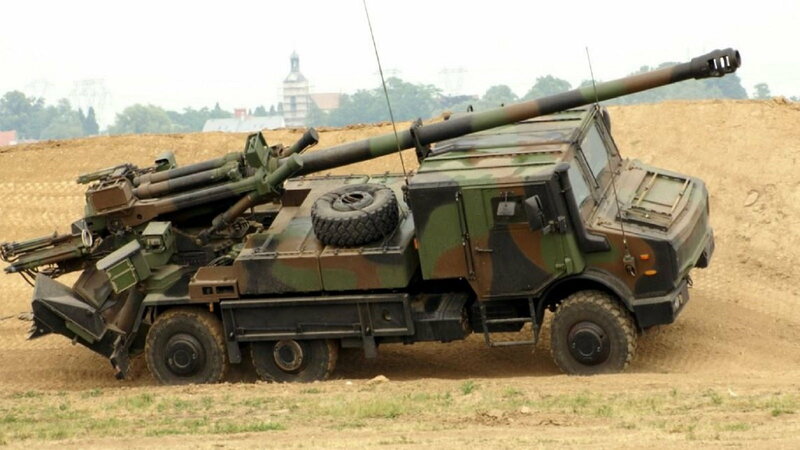 The 2450 6x6 with Howitzer is sure to make the ground rumble and enemies tremble with fear. 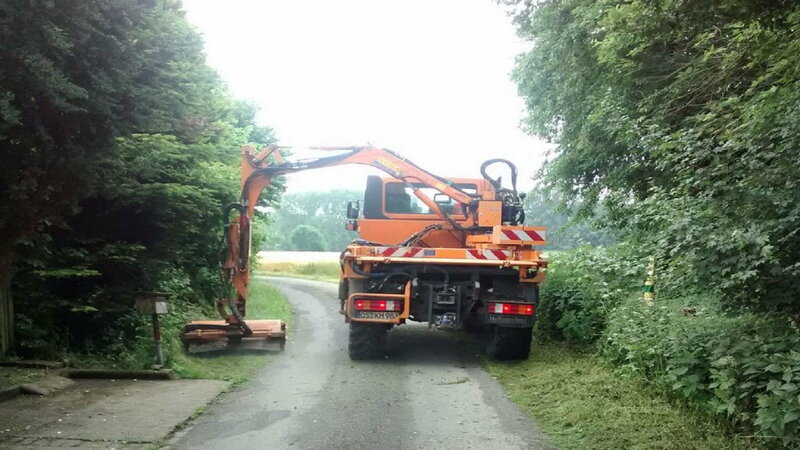 As useful on city streets and in parades as it is on the battlefield, the Unimog once again proves its usefulness in more ways than you can count. 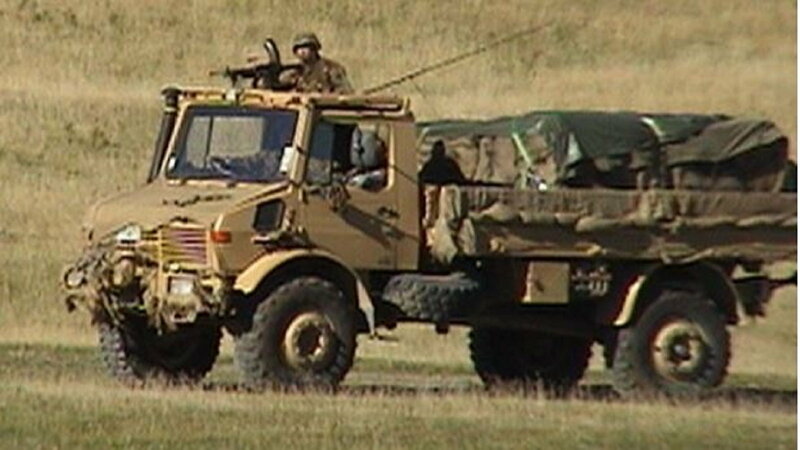 The Unimog proves its versatility on and off the battlefield, shown here being used as a dump truck. You will be sure to turn heads pulling into work in your new pick up truck as gazers literally drool over your new MB toy.